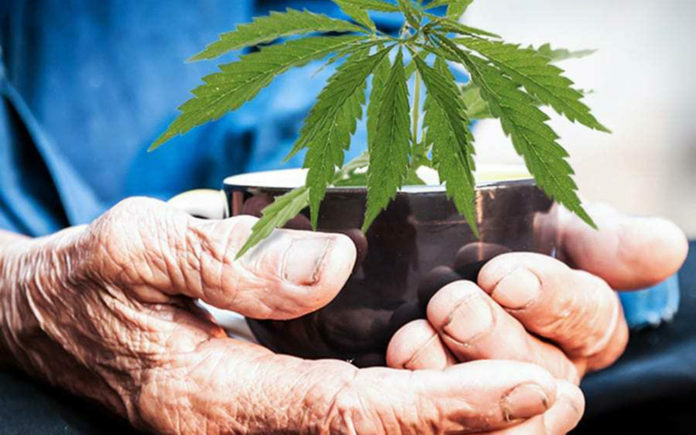 Can vulnerable elderly use medical cannabis (MC) if she/he is residing in a hospital, skilled nursing facility, assisted living facility or residential care facility? Since MC is still illegal federally hospitals, rehabilitation facilities, veteran’s hospitals, and skilled nursing facilities, dialysis or infusion clinics are forbidden from prescribing, administering, or having possession of MC. If you bring your MC to a hospital or any facility that receives reimbursement from a government health program the cannabis will be confiscated and destroyed. Hospitals have strict policies regarding this as the government can revoke their privileges for receiving monies from federal programs. A nurse or physician trying to get around these policies can be fired or have their own professional license revoked. Safe legal practice of MC for a loved one and the medical personnel is paramount. Do not even bring up the issue. In this circumstance the patient will need a caregiver who can administer the cannabis in a covert manner. If not, then accept the situation as being untenable. However, residents residing in a care facility that does not take government monies for health reimbursement must follow specific protocols regarding the use of MC. Let’s take each of these non-hospital environments in CA separately, although similar policy laws may be in place in other states. Assisted Living Facilities (ALF) and Residential Care Facilities for the Elderly (RCFE) are licensed by the Department of Social Services. Normally no monies are reimbursed by the state, so they are not like hospitals. But be careful because the Adult Care Facilities and Child Care Facilities for dependent residents may be taking monies from Medi-Cal. In that case follow the same hospital protocol. No MC. All licensed facilities must have an order from a physician for all care including medications prescribed or over the counter such as herbs, or supplements. The facility needs a copy in their record that the resident has a medical marijuana recommendation. An elderly resident usually has a designated healthcare agent such as a Durable Power of Attorney for Healthcare (DPAH) like a child or spouse. This agent has two options to verify their loved one qualifies for MC. All dispensaries are required to accept these legally signed forms when presented that allows purchases for MC by the designated caregiver. Form CDPH 9044 called Designation of Primary Caregiver as per California Health and Safety Code §11362.5, and section 11357 related to the possession of marijuana, and Section 11358 from the Department of Health titled Medical Marijuana Program, can be downloaded from the internet. The primary medical or osteopathic physician signs this form which verifies the person benefits from MC and is under his/her care. The second option is when the child/spouse obtains the Medical Marijuana Recommendation from Greensight Medical. The DPAH form is presented to the Greensight physician and he can also at the same time, give the child/spouse a signed Designation of Caregiver form. Both forms will have a gold seal. Next the primary physician must give the facility an order for the MC the same way he/she gives an order for any supplement. If a resident is taking Vit. D he/she writes “Vit D 1000 IU by mouth daily.” For MC he/she writes i.e. “CBD:THC 10:1 0.5ml under the tongue twice a day.” If the product or dose changes the primary physician again writes a new order. The last obstacle is who will administer the MC. That depends on the policies of the ALF or RCFE. A family member may have to administer, or the facility caregiver may give the medication depending on whether the MC is a pill or not. Again, the physician must write in the order who is giving the MC. Most ALF’s or RCFE’s do not allow their in-house staff to give tinctures or suppositories. Just like they do not allow their staff to give morphine concentrate to hospice residents because it is measured in fractions of a millimeter. (i.e. 0.25 ml or .5 ml). Do not be surprised if the facility or physician does not agree with using MC. A qualified cannabis nurse can help navigate through this maize of obstacles.